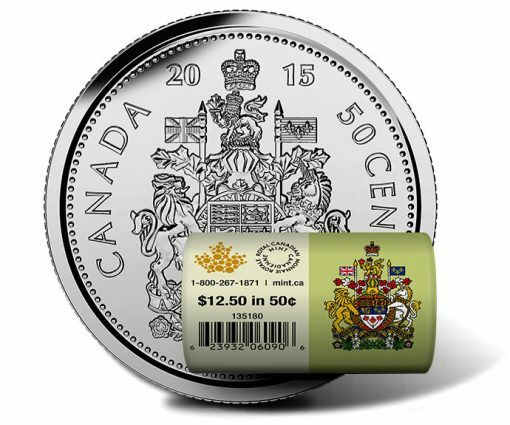 A relative rarity becomes available to everyone, for a limited time, with the Royal Canadian Mint’s release of 2015 50-cent pieces in unique circulation rolls. Within specially-wrapped rolls are twenty-five 50-cent coins. They won’t be available for long. Past 50-cent special wraps sold out quickly. Limits include a mintage of 25,000 and a 3 per household ordering restriction. 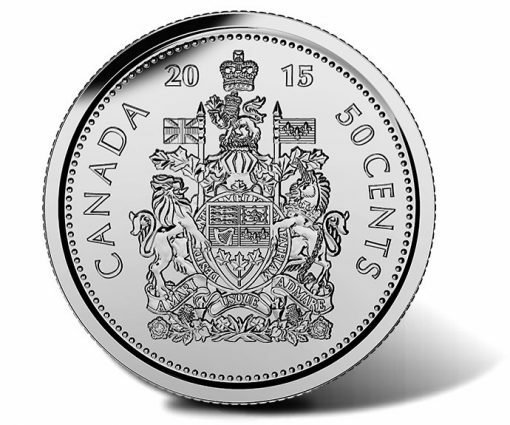 Canadian 50-cent pieces are hard to come by these days. They have not been issued for general circulation since 2004, making numismatic products such as these circulation rolls very popular. 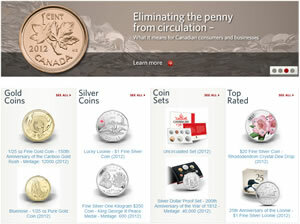 Reverses of each 50-cent coin show Canada’s Coat of Arms. The design was proclaimed by King George V in 1921 and is a representation of the political history of Canada. Included in the design are images from France (the fleur-de-lis), England (the three royal lions and rose), Scotland (royal Scottish lion and thistle), and Ireland (the royal Irish harp of Tara and shamrock). "Although proclaimed in 1921, Canada’s Coat of Arms did not appear on the fifty-cent piece until 1937, and it was not until 1959 that the design was modified to include Canada’s motto: A Mari Usque ad Mare — ‘from sea to sea’," notes the Royal Canadian Mint’s website. "In 1997, the first fifty-cent pieces featuring the addition of the Order of Canada’s motto were struck." In addition to the Coat of Arms, reverses have inscriptions of "CANADA," "2015" and "50 CENTS." Obverses offer Susanna Blunt’s effigy of the Queen with encircling inscriptions of "ELIZABETH II" and "D G REGINA." Special illustrated paper wraps the twenty-five coins of the roll. To the right appears a colored likeness of Canada’s Coat. The left presents the Royal Canadian Mint’s logo along with "$12.50 in 50¢" or "12,50$ en 50¢," depending upon the side of the roll. 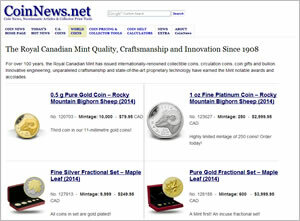 Roll of the three-ply nickel finish plated steel coins may be ordered directly from the Royal Canadian Mint via the website of www.mint.ca. Here is an affiliate link to them . Pricing is CAD $24.95 or US $19.89. Beautiful coin! Defiantly not a good investment looking back on what 2013 & 2014 rolls are returning.